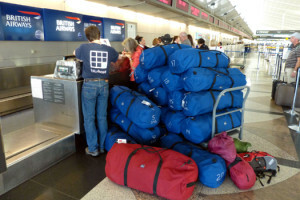 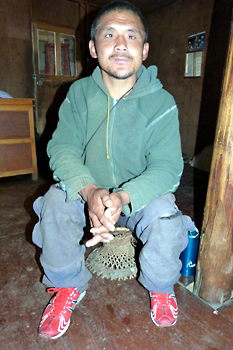 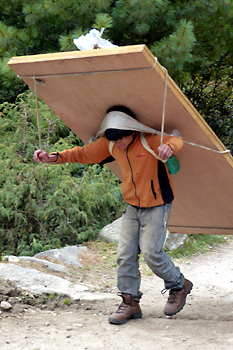 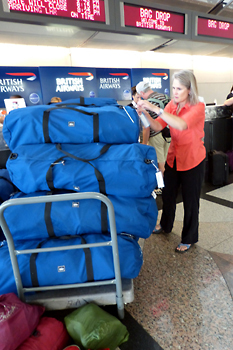 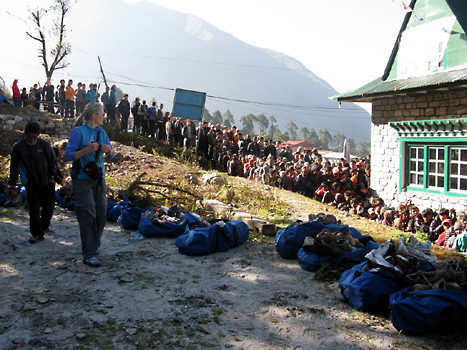 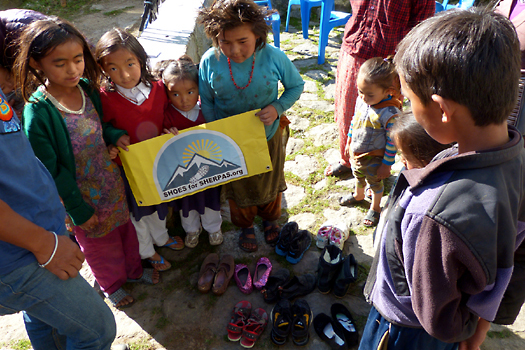 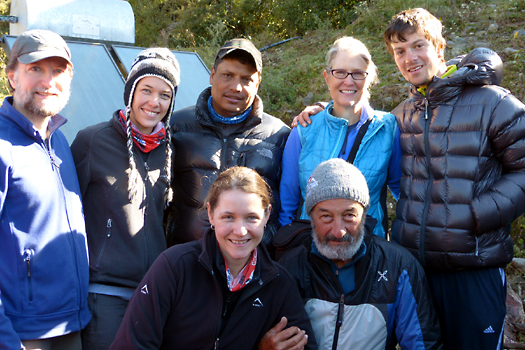 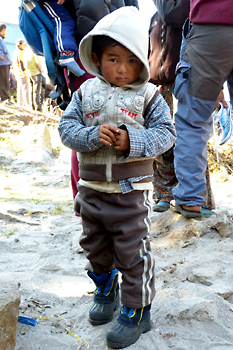 In October 2012, Shoes for Sherpas distributed athletic shoes, children’s shoes, and hiking boots to porters and residents in the Everest region of Nepal. 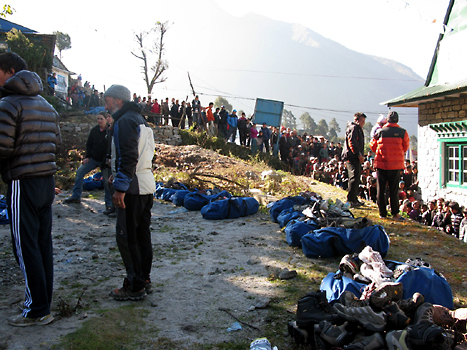 Some shoes and boots were passed out along the trail, while others were distributed at a one day event in Lukla, where an estimated 200+ people gathered. 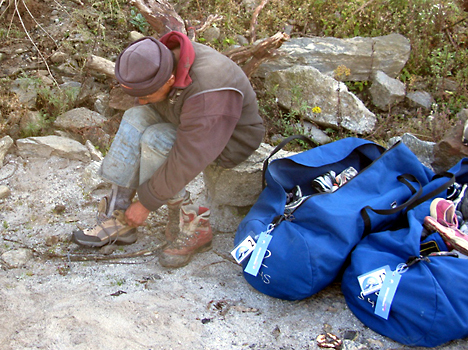 We couldn’t have had this successful distribution without the participation of our donors; those who gave money to pay for shipping, and those who donated footwear. 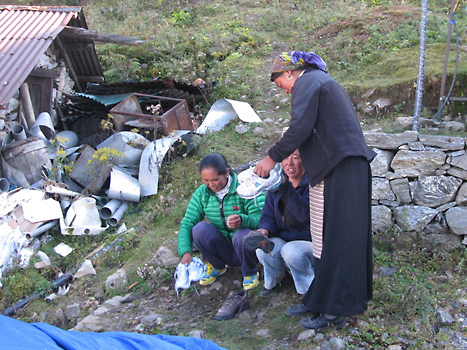 Thank you so much for your generosity, your generosity has touched many hearts. 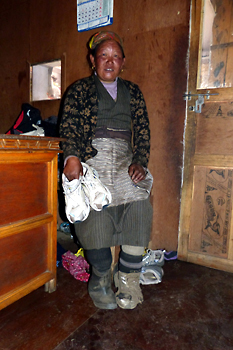 The fine folks at the Denver location of Runners Roost Colorado have provided a drop-off site, donated many pairs of barely-used running and trail shoes, and have let us use their community room on several occasions.